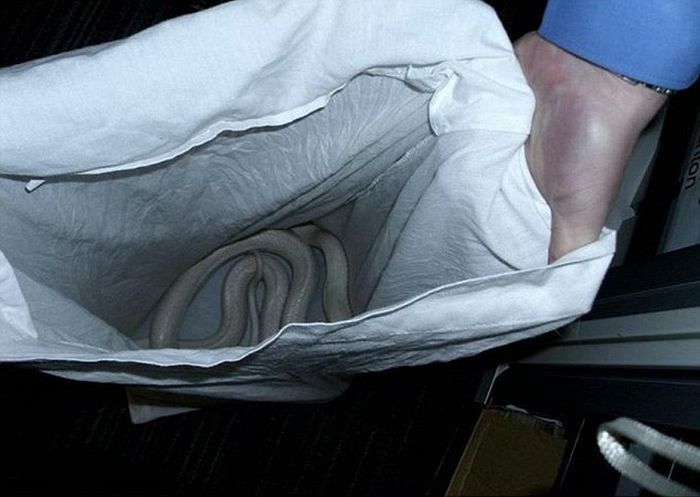 Hannah Brierley was shocked when she discovered a giant albino snake in her home in Rochdale, Manchester. She found it on a radiator in her bathroom and naturally assumed it wasn't real. 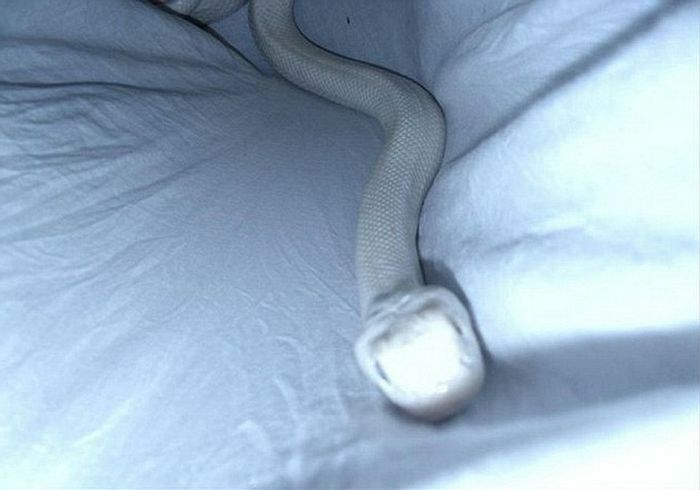 Once she saw it move she called the police and an officer came to remove the snake from the house. 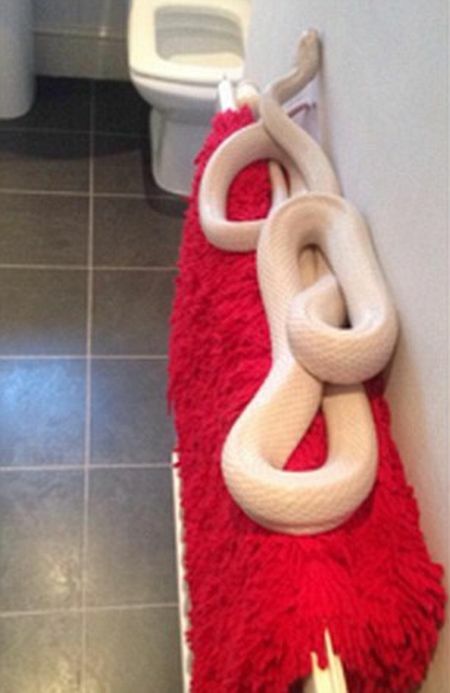 No one seems to know how the massive snake got into her bathroom.